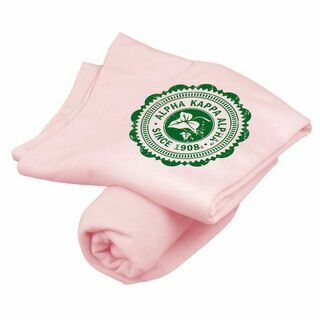 You've come to Greek Gear at the best time because we now have a wonderful selection of Alpha Kappa Alpha Blankets and Home Goods. Every day you wake up in your dorm, you'll instantly be reminded of your membership in the first African American Greek-lettered college sorority. One of the most attractive and requested items for members is the Elite Afghan Blanket. 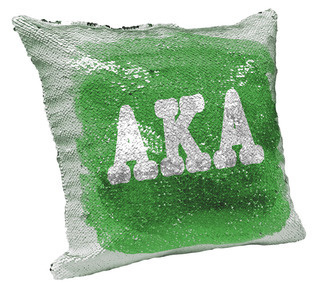 There's no doubt that a proud AKA resides in your dorm when guests see this large, majestic pink and green afghan on the wall. 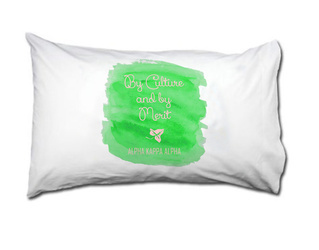 The Plaid Pillow for Alpha Kappa Alpha members will add color to your sofa or futon. 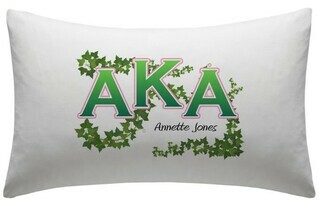 Also see the sorority pillowcase, which is embroidered with a cute design that includes an image of a green ivy leaf. Tired of your dorm room and need a change of scenery? Grab a Lettered Twill Sweatshirt and find a corner of the library to get comfortable with today's textbook. And when you and your sorority sisters gather together for an invitational or informational when recruiting, bring the Mascot Tablecloth along with your signs and banners. 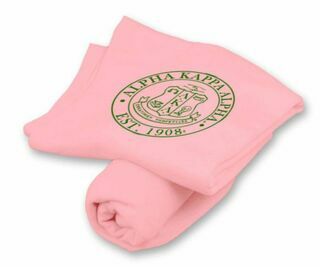 Cuddle up in Alpha Kappa Alpha style with Blankets and Home Goods from Greek Gear this school year. 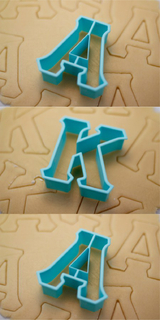 The product variety gets better and better with time. 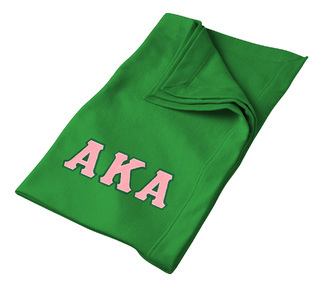 *Buyer acknowledges and agrees that he/she is purchasing paraphernalia and other goods (collectively Goods) that bears Alpha Kappa Alpha Sorority, Inc. (Sorority) logos, copyrights and trademarks for a member of the Sorority. Buyer understands that a non-member is not supposed to own or possess such items, and agrees that Sorority retains all rights and ownership in the underlying Goods that bear Sorority logos, copyrights and trademarks. Thus, such Goods may not be resold by Buyer directly, on-line via a third-party (including but not limited to ebay.com, amazon.com, etsy.com, etc.) or by any other means. 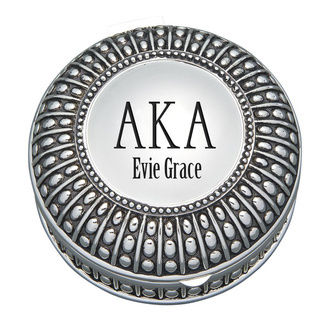 Any attempt to do so will result in the forfeiture of the Buyer�s right to possess the Goods, the immediate vesting of the Sorority�s right to possess the Goods, and the subsequent surrender of the Goods to the Sorority. 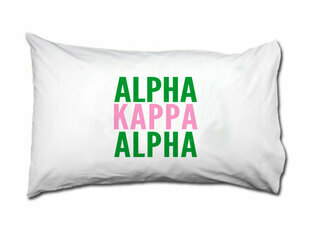 Alpha Kappa Alpha Blankets, Pillows & Home GoodsThe Greatest Selection. Period.